The lowdown: A superhero movie based on a Marvel comic book almost as obscure to filmgoers as Guardians of the Galaxy works a second time around in this sci-fi family adventure. When tragedy strikes teenager Hiro, his big brother’s robotic “health care companion” Baymax is there to help him pick up the pieces. But, a mysterious masked man begins terrorising the city San Fransokyo, meaning Hiro, Baymax and their goofy robotic engineering pals must suit up to protect the city. Primary coloured, fast moving fun, with a touching relationship at heart and likely to put a smile on everyone’s face. The full verdict: If you’re Disney, how do you follow the cultural behemoth that is Frozen? By cannily taking your other hot property (Marvel Studios, here largely uncredited) and blending it with the best animation of recent years. So Big Hero 6 is a fizzy pop made of equal parts Iron Man, How To Train Your Dragon 1&2, Kung Fu Panda, The Incredibles and Up. Most impressive about Don Hall and Chris William’s film then is that only in the second half does superhero deja-vu kick in. 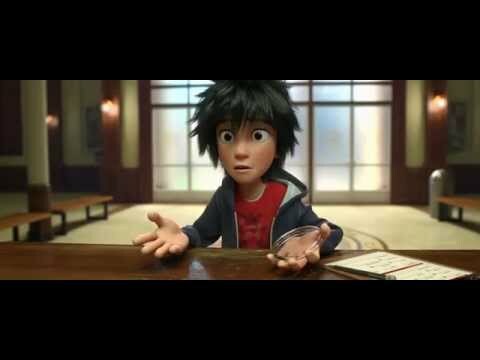 A moving, engaging first section sees Hiro (Potter) discovering the wonders of robotics at the local university. Particularly big brother Tadashi’s Baymax (Adsit), a cuddly inflatable robot nurse that is part iPod, part Kung-Fu Panda. 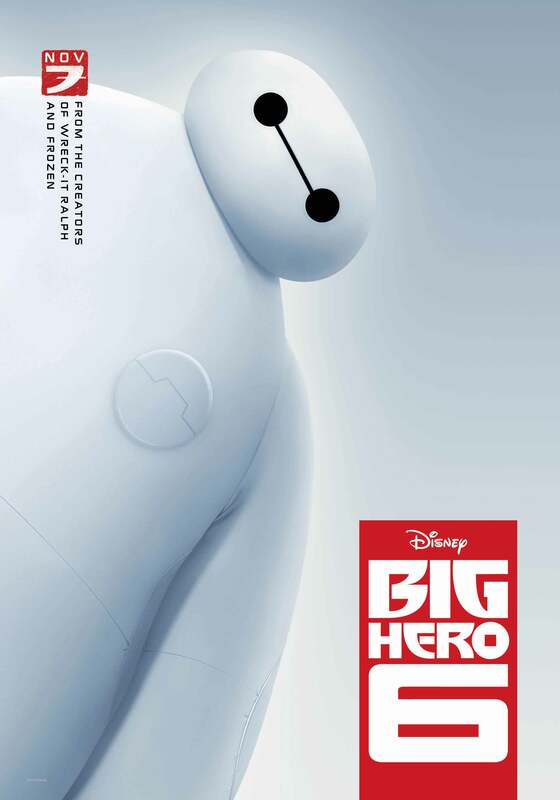 Baymax proves his worth when Hiro experiences tragedy, the marshmallow health care worker helping him work through grief and anger issues. If all this sounds heavy going for a Disney ‘toon, fear not. Co-director Williams helmed 2008’s underrated Bolt and both he and Hall inject Big Hero 6 with whimsical humour and physical comedy that echo heyday Laurel and Hardy (Baymax even has the girth of Hardy and the expressionless expressiveness of Laurel). It is also refreshing to see a hero whose primary concern is physical well-being rather than face-crunching law enforcement. Which makes the second half shift into superhero action territory slightly deflating. The chief villain is not too hard to spot (although no early clues to their motivation make it a bit of a cheat) and “the getting the team together and kitting them out with fancy hardware” is amusing, but seems like box-ticking in an age when everyone knows the beats of an “origins” movie. Although fun is to be from T.J. Miller’s rich hanger-on Fred, constantly reminding everyone they’re in a superhero tale. Saving the day is a roster of voice talent, including Maya Rudolph, Genesis Rodriguez, Alan Tudyk and James Cromwell who give life to standard supporting characters, plus Hall and Williams’ confident, fast-paced direction. These guys deliver better action thrills than Guardians of the Galaxy’s set-pieces, including a dynamic high-speed car chase seemingly inspired by a similar pursuit in Miyazaki’s The Castle of Cagliostro. The climax again abides by fight-in-the-sky convention, but a second climax impressively delves into the metaphysical realm of Akira’s finale. All this and gorgeous production design that relocates Tokyo’s megastructures to the American West Coast and you have a highly enjoyable first instalment of a franchise that like its synthetic hero, may have sturdy, chubby legs. And like all Marvel movies, stay for a neat post-credit moment.